Stephen Ferry/Liaison "In areas of the county where development has really exploded, there has been as great a loss in tree cover as I've seen anywhere. It's phenomenal." -- Gary Moll, VP of American Forests' Urban Forest Center. The future of Charlotte's urban forest is regulated by the city's tree ordinance. The ordinance states that homebuilders must preserve at least 10 percent of the tree canopy in new subdivisions. On commercial property, developers are required to save trees that are in the "Setback" or the right-of-way along the road. Any tree 8 inches dbh (diameter breast height) is protected from removal. Developers are also required to have 10 percent of green space within their property, meaning they can clear-cut the entire area, but have to go back and replace 10 percent of the property with green space. On development projects that have been re-zoned as urban mixed-use projects, developers only have a five-percent greenspace requirement. Tree Planting is required in the Setback along the road Right-of-Way if there are no existing trees and/or in open gaps along frontage. Large maturing trees are required every 40 feet, or small maturing trees every 30 feet of linear frontage. Where overhead power lines exist, only small maturing trees can be planted. Trees are also required within the site. One tree for every 10,000 square feet of impervious area (i.e., building, parking lot, sidewalks, gravel), and all parking spaces must be within 60 feet of a tree. Tree islands must have 274 square feet of growing area (equivalent to two spaces end-to-end) with a minimum width of 8 feet. 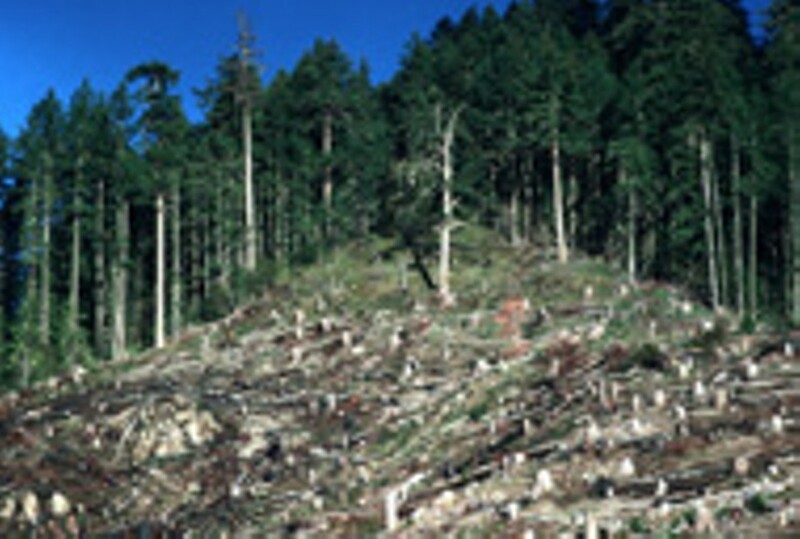 Requires a minimum of 10 percent of the existing site be saved in trees. If less than 10% is wooded, additional trees must be planted. If less than 5 percent is wooded, plant to meet 5 percent. Incentives for saving more than the required amount of trees include density bonuses, reduced setbacks, etc. Street trees (large maturing shade trees) are required to be planted along both sides of all streets in a new subdivision. Heritage trees are defined and must be saved. Specimen trees are defined and are encouraged to be saved. Developers get incentives for saving both categories. Few people noticed when Community Concerts quietly slipped into town last summer. Even fewer had heard anything about the trouble the company was facing at the time. Although company owner Brenda Trawick says she chose to relocate to Charlotte because the arts were growing here and this would be a very supportive place for the national concert presenting company, until the I>New York TimesP> reported last week that the company had neglected to pay artists, had written them bad checks and that the Manhattan district attorney was considering an investigation, many in Charlotte's arts community had no idea that Community Concerts had relocated here from Manhattan. "They don't do anything in Charlotte," said Shelley Bratton, executive director of Carolinas Concert Association. "They don't bring groups to Charlotte." At its peak, the 75-year-old company was once one of the country's most well-known concert presenters, bringing thousands of opera-style concerts to folks in the country's hinterlands who normally wouldn't have access to such entertainment. In small and mid-sized towns across the country, opera fans pooled their money into community associations serviced by Community Concerts, which then brought some of the hottest names in opera to town to perform. Now, according to the New York Times, some of those organizations have begun to pay the artists directly, rather than passing the money on to the company. Others have cut their ties to Community Concerts and are booking acts with other companies. As a group, the artists claim they are owed at least $1.5 million. Trawick says the NYTP didn't print all of her side of the story. She claims that all of the artists to whom her company owes money have been paid "something" and that she has established a payment schedule with each of them. "Our intention is to make everyone whole," Trawick said. James Meena, the general director of Opera Carolina, says the organization's dealings with Trawick Artists, Trawick's other company, have been positive. "The arts management side is very reputable," said Meena. "I suspect there's more to the story that the Times could not print." Trawick wouldn't comment on the future of Community Concerts, which she purchased in 1999. "When I acquired the company, it was in disarray," she said. "We made a major turnaround. All of this hit at a time when the company was the most vulnerable." In an article last August 28, Creative Loafing reported on a number of allegations being made by local judicial critic Alan Beal. These included a claim made in his custody battle with his ex-girlfriend that she had engaged in lesbian acts, which in his view rendered her unsuited to retain custody of their child. Contacted by CLP for a response to Beal's charges, the ex-girlfriend acknowledged engaging in these acts and said Beal himself also participated. At that time Beal did not respond to our phone calls for comment on her statements. He has since written to us repeatedly to state vehemently that his former girlfriend's statement as to his participation in these acts is not true. We published his denial on our web site and while we do not think there is any confusion concerning Beal's denial, we are printing this clarification to make his position perfectly clear. Charlotte-Mecklenburg has lost nearly a quarter of its once plentiful bounty of trees over the past 17 years, says a recent study by a Washington, DC conservation organization. That may come as no big surprise to folks who've lived in the Queen City before it became a mishmash of parking lots, condos, big boxes and strip malls. But what is surprising is the massive scale of the tree loss, and how dire Charlotte's "green" future looks unless city leaders make some big changes. Using aerial and satellite imagery, American Forests analyzed 351,000 acres (549 square miles) of Mecklenburg County and many of its rapidly developing suburbs. This high-resolution imagery allowed researchers to zero in on specific areas with pinpoint accuracy, even down to a single tree. From these images, the organization produced a "Gray to Green Scale," a report showing which areas have adequate green infrastructure (or tree cover) and which have an abundance of gray infrastructure (sidewalks, buildings, parking lots, etc.). Charlotte's gray is inexorably gaining on the green, and at an alarming rate. The report indicated that between 1984 and 2001, there was a 22 percent loss in tree canopy, once one of the city's prides. (That percentage doesn't reflect the trees lost during this winter's round of ice storms). The analysis also showed that 61,744 acres (18 percent) of Mecklenburg County are impervious surfaces (roads, parking lots, etc.). Areas that have experienced the biggest loss in tree canopy cover include the sprawling developments along the county's outlying edges, in places like Pineville, particularly around Carolina Place, and major transportation corridors, including the I-485 Beltway, which continues to plow through the city's forests and trees. A major contributing factor to Charlotte's dramatic tree loss is our explosive population growth. The Charlotte metropolitan area is among one of the 10 fastest growing metro areas in the nation, and has seen a 72 percent growth in population since 1980. Couple the city's population growth with reckless development and sprawl, and it's easy to see why the city's urban forests are fading so fast. "Mecklenburg County is blessed with a natural, heavy tree cover," says Gary Moll, vice president of American Forests' Urban Forest Center. "It still has adequate cover for an urbanized area. But in areas of the county where development has really exploded, there has been as great a loss in tree cover than I've seen anywhere. It's phenomenal." The Charlotte Tree Advisory Commission organized the American Forests study, and helped assemble donors -- including Bank of America and Duke Power -- to cover the project's $150,000 pricetag. The Charlotte Tree Advisory Commission also purchased some of American Forests' CITYgreen software, which can be used to help analyze the environmental benefits of trees in Mecklenburg County, particularly as future developments and projects are being designed. In comparison, land with heavy tree canopy in Atlanta went from 47 percent to 26 percent from 1984 to 1996. An American Forests analysis of the Atlanta area indicated the city's loss of tree cover had resulted in an increase in city temperatures, to the point that Atlanta is generally 12 degrees hotter than surrounding areas during the summer. The study also indicated that with fewer trees, the Atlanta area has seen a 12 percent jump in air pollution. Moll says Charlotte is quickly headed down the same path. "If Charlotte continues to grow and develop in the way that it has been, it will definitely become another Atlanta, or worse, if you can imagine that." Charlotte's dramatic loss of tree cover is significant for many reasons, the most obvious and immediate being aesthetic. But a decline in tree canopy also means a decline in air and water quality, which can also have a negative economic impact. Trees help reduce stormwater runoff by intercepting rainwater on its leaves, branches and trunks, where it evaporates, or slowly soaks into the ground, reducing peak flow after a storm. Municipalities must spend millions of dollars for flood control systems and sewer infrastructure to handle stormwater runoff. The American Forests study indicated that without sufficient tree cover in the Charlotte metropolitan area, the cost of building water storage units could cost as much as $1.87 billion dollars. Besides reducing stormwater runoff, the analysis said that Mecklenburg County's tree canopy removes 17.5 million pounds of air pollutants each year -- a valuable asset considering that Charlotte was recently ranked ninth in the US among cities with air pollution problems. @body:American Forests was founded in 1875, and is one of the nation's oldest nonprofit citizens' conservation organizations. For years it has been conducting studies like the one recently completed in Charlotte, known as an Urban Ecosystem Analyses (UEA). The analyses provide detailed information about a city's ecosystem, including both natural and human-made features, from data collected and analyzed using computer software programs called Geographic Information Systems (GIS). The analysis also includes estimates of the widespread benefits of a city's urban forest resources, satellite imaging and digital maps that are compatible with planning designs, and a presentation package of charts, maps, and photos. Analysis results weigh the economic values of trees against the costs of including natural resources in urban plans, and serves as an introduction for city leaders to learn about ways to use tree cover in building a "green" infrastructure. "Right now, Charlotte is at a good point, but you have to set into your planning process the necessary measures to keep the area green, starting right now," says Moll. The report makes a number of recommendations to the Charlotte Tree Advisory Commission, including that the city develop public policies that increase tree cover and promote green infrastructure. Second, says the report, the community should include trees and the values associated with trees when making land-use decisions. Lastly, the analysis recommends that the community should set tree cover goals and institutionalize a system to maintain this goal. The study's results and recommendations are being presented this week during a series of overview sessions at the Charlotte-Mecklenburg Government Center. This will be followed by a two-day training session with select city and county departments for the purpose of incorporating the CITYgreen software into future planning and developments. "The study promotes a balance between development and tree canopy," says Anne Brade, vice chair of the Charlotte Tree Advisory Commission. "It's a way for the government and the community to understand what has happened as a result of development and to use the variety of tools that are now available to help bring the city back to where it was." "We're going to use this tool (CITYgreen software) to develop many new initiatives that will help with the city's environmental conditions," says Rick Roti, chairman of the Charlotte Tree Advisory Commission. Some of the initiatives Roti is referring to include partnering with the EPA and County Parks & Rec to study some of the city's worst stream drainage basins, and through the use of volunteers, plant the necessary number of trees to help improve stream bank stabilization and provide shade. Roti says the CITYgreen software can also be shared with neighboring towns to help them as they plan future projects and developments, as well as with local colleges like CPCC, which can incorporate the software into some of its classes. "One of my concerns as chair of the tree commission is that we need to start including more 'green' in our planning," says Roti. "If the big push is to get more heavy, multi-family development along transportation corridors, what's going to happen to the trees? The key is that now we have this tool, let's make sure we use it."